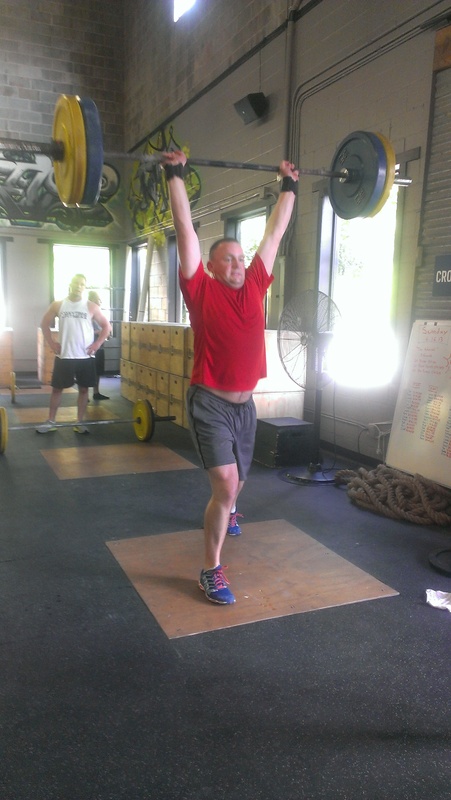 NOTE: Farmers carry is with a kettlebell in each hand. 29:03 Rx… This one was tougher than expected! But I didn’t feel like I was going to die at any particular moment, so that’s a plus. 41 and change. I think it was the burpee box jumps and the 2 farmers carry’s that got me. Finished somewhere in the 25 minute range RX. Good workout on a hot day. Never mind! 31:30 remembered wrong or was so delirious I read the clock wrong! Woke up before 6am & zoomed to the gym. Great decision. Lovely smallish group. 33:55 I think with 25# plate, 25# kbs, & scaled jump to a black box with a yellow plate on it. Hope I can get in a morning groove. Also trying to eat better.